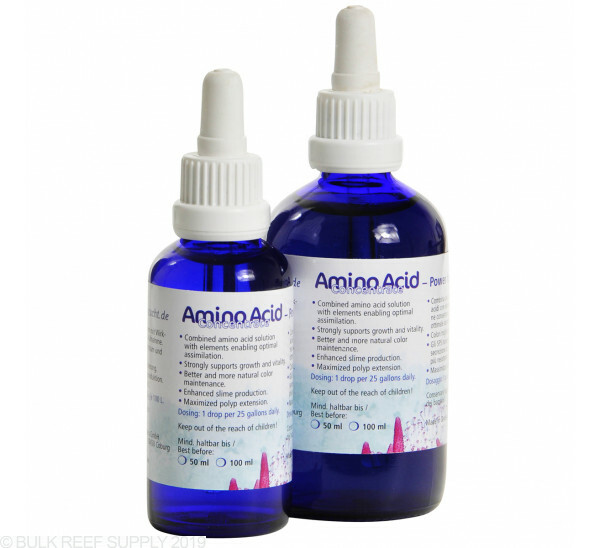 Amino Acid Concentrate will aid coral vitality and growth. Internal KZ tests have shown growth increase by as much as 100%, even in low light situations where that would otherwise be extremely difficult. Recommended daily dose is 1 drop per 25 gallons. As with dosing most amino acids, it is difficult to overdose in a way that would harm the corals but overdosing may lead to an increase in brown slime algae. If you notice this, decrease dose to 1/3 until slime dissipates. I began using this product four months ago and have been very impressed so far. I did not notice an immediate difference, but now that I have been using this product for an extended amount of time I am beginning to see better color and polyp extension than I ever have before. I just ordered my second bottle and this time I got the big one! This is a part from others... smells different too. You must allow the cnidarians to absorb it from the water turning off the skimmer for a couple of hours. Sometimes I let the skimmer off for a day because I forget about it and the polyps show great size and colors. 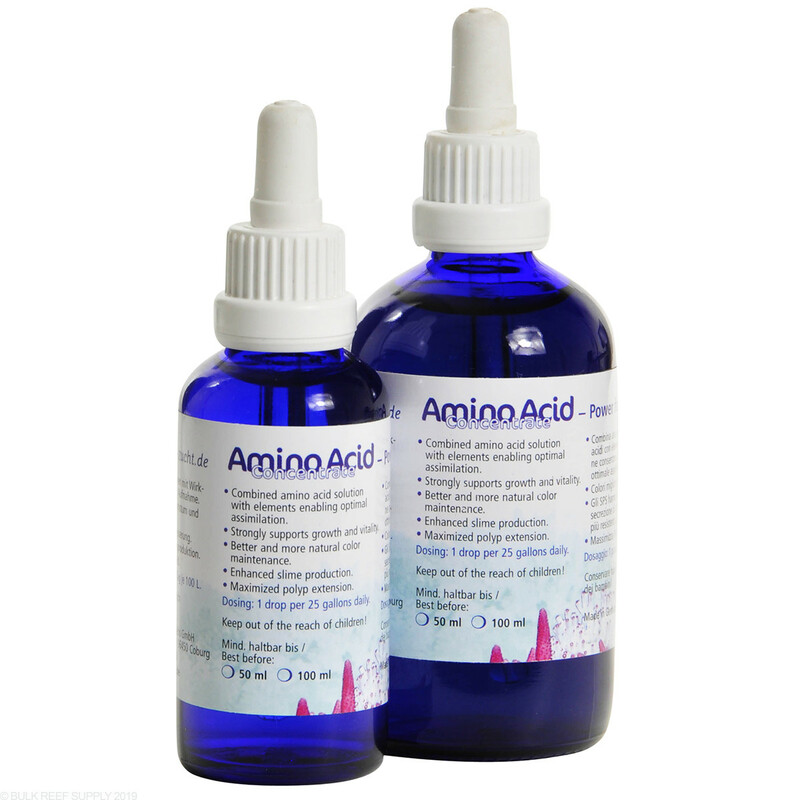 I do use other amino acids, but kinda think this is one of the best I have used. I use it for my zoa tank and it does make a difference. All amino acids need the skimmer off!! I switched from AcroPower to this and also added the KZ Coral Vitalizer and have been adding daily for about a month now. Almost immediately, I noticed massive polyp extension at night, increased coloration and growth. Very pleased so far. Made a tremendous difference in my SPS tank ! Since implementing alongside the Nano-Pack, used sparingly along with proper filtration and stable water parameters, I have experienced an increase in color and "depth" to SPS tissue, and an increased urgency in polyp extension and growth. Very pleased with the results. I have use this product nightly for for almost a year now and I am very satisfied with the results. PE and color have never been better. Does this product need refrigeration after opened? Is the dose 2 times a week or daily? Great question! As a general rule of thumb, we recommend refrigerating all KZ product after opening, as it tends to extend the longevity of the product. This product in particular wouldn't require refrigeration, however it won't hurt :) Daily dose is 1 drop per 25 gallons. Do I need to turn off the skimmer after dosing this product?